The Fight for 15 protests are back. For the first time post election, thousands fast food and airline workers hit the streets of cities across the U.S. demanding a $15 minimum wage. This time, they were joined by a surprising new ally: Uber drivers. Billed as a “Day of Disruption,” thousands of workers marked four years of protests by flooding streets in several hundred cities to send a message to newly elected leaders including President-elect Donald Trump should enact higher minimum wages. While we don’t know what the Trump Administration will do about the federal minimum wage, the Republican Party platform suggests that states should decide. This election cycle four states (Arizona, Colorado, Washington, and Maine) joined the growing list of state-wide minimum wage increases. Led by the SEIU union, protesters marched outside of McDonald’s restaurants and airports such as Chicago’s O’Hare, Atlanta’s Hartsfield-Jackson, and Reagan National in Washington, D.C. The aim was to disrupt business operations, gain attention, and send a message. "Everyone says the gig economy is the future of work, but if we want to make that future a bright one, we need to join together like fast-food workers have in the Fight for $15 and demand an economy that works for all," Justin Berisie, an Uber driver base in Denver, said in a statement. It’s strange that Uber drivers would be protesting for minimum wage workers for two reasons. First, Uber drivers are not like traditional workers, because they are contractors. Unlike regular employees who pay taxes each paycheck and get a W-2 annually with their total earnings and taxes, Uber drivers take home all of their income each week and then report it on a separate tax form (Schedule C). Uber files an IRS 1099-MISC form and they pay taxes annually or quarterly. 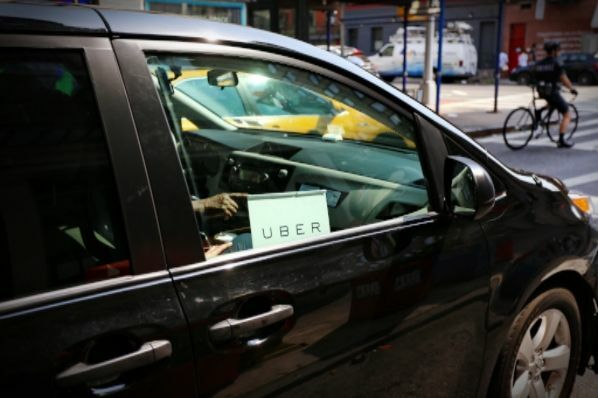 Uber drivers incur expenses such as gas and wear-and-tear, but they can write that off. Regular employees don’t usually get to write off their expenses. Second, Uber drivers don’t earn minimum wages. In the top 20 U.S. markets where Uber operates, drivers averaged more than $19 an hour. And let’s not forget that Uber drivers can double, triple, and even earn ten times the normal fare during surge pricing. I’ve paid ten times the normal fare while trying to get home during a snow storm. Minimum wage workers don’t get surge salaries. The sharing economy is disrupting how we traditionally work while delivering lower costs, more opportunity, and more work flexibility for Americans. If Uber drivers want to protest for $15 minimum wages, they have every right, but they should be careful about becoming a tool for misguided efforts to shoehorn the sharing economy into the traditional economy’s mold. If that happens we will all be worse off.